Home > Company News > Meet HART’s Component Sales Division! Meet HART’s Component Sales Division! The Component Sales Division at HART recently launched the HART Online Store to provide our customers with a new way to interface with HART and find the components they need. 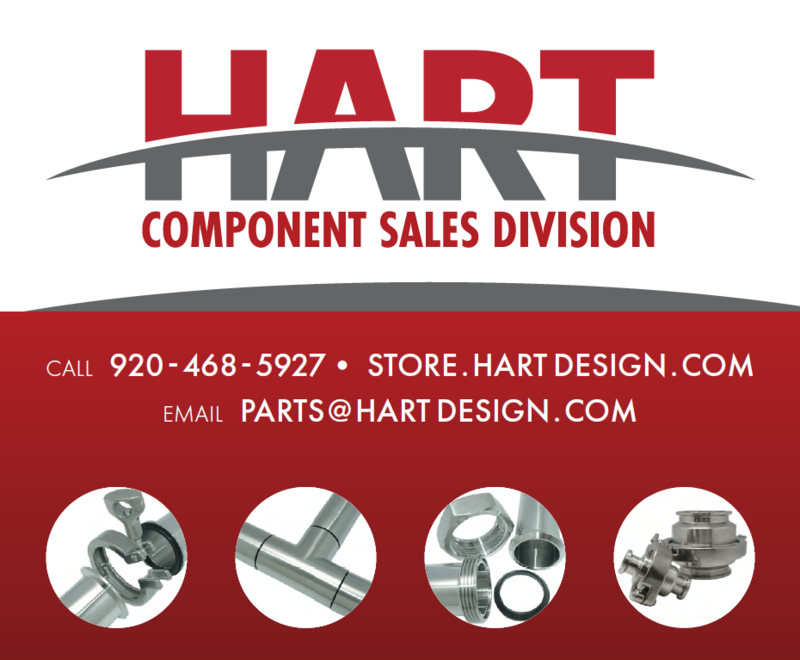 Visit the HART Store at Store.HartDesign.com and learn more about the Component Sales Division in this blog post. HART Design is a trusted Wisconsin-based manufacturer, serving the Dairy Industry since 1975. To better serve our customers, we created our Component Sales Division November 1, 2017. This new branch of service is led by Nicole Koss, who prides herself in providing superior customer service and high-quality products. Nicole gained substantial experience while working alongside her father, John A. Koss (former cheesemaker, founder of Koss Industrial). For over 15 years Nicole worked with him, learning the ins and outs of serving the sanitary industries. Nicole has established herself as an excellent customer resource in the sizing & provision of pumps, valves, fitting, and many other components. Already working with some of the biggest names in the industry, she has earned the trust of many HART customers. Trust Nicole to get you the right products at a great price, with unmatched service! REQUEST YOUR QUOTE TODAY! Trust our fluid handling product knowledge. At HART, our vendors go through a rigorous selection process and are held accountable to our high standards. Properly configured components perform better and last longer. We want you to trust that your plant has the parts you need to keep production running smoothly, as well as to keep your cleaning and preventative maintenance easy & affordable. HART can help. Our Component Sales Division personnel have many years of experience sizing equipment and supplying sanitary components to the Dairy, Food & Beverage Industries. Trust a supplier who understands the special needs of your application, a supplier who is fully aware of what the word “sanitary” truly means to you, your brand, and your customers.